Over 10,000 truck/trailer combinations have rolled off the production line in Kilafors. Solid designs with a long service life have been our hallmark from the very beginning. A good understanding of hauliers and close cooperation with the industry have made us very much in demand. We have welders, engineers, finance specialists, sales representatives and technicians. Some of them have run their own haulage companies; others maybe have a parent or relative who had one. What we have in common is a strong desire to help you get on the road and drive even more miles. All that we ask is that you take us with you on the journey. A lot has happened since 1960. The industry has evolved, we have evolved, but our raison d’être is the same: to be there for you and help you get the best truck and trailer combination for your challenges. 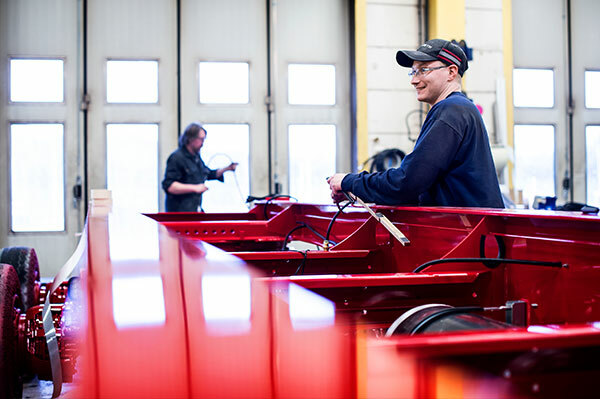 Today we are Sweden’s largest manufacturer of multi-axle trailers, single and double-axle trailers and truck bodies – for transporting timber and woodchip, as well as for construction work. We aim to have the best aftermarket provision on offer, to ensure optimum operational economy and high second-hand values. At the start of the 1960s there was a strong demand among Swedish hauliers for functional trailers at competitive prices. On 27 June 1961, therefore, the hauliers got together to form their own company to plug the gap they saw on the trailer market. The company was called Kilafors Industri AB. Kilafors was also the name of the location where the company was set up. After temporarily leasing premises from the smith in Stråtjära, the company had a specially designed trailer factory built – the only one in Sweden. The fact that manufacture ended up in Kilafors was undoubtedly down to the influence of one of the most important initiators behind the company: Einar Asp, a visionary member of the Swedish parliament, who hailed from Landafors. The first trailer was an eight-metre platform trailer, sold to Henry Karlsson of Söderhamn as early as February 1961. In 1989, the company was acquired by the ACC investment group. Five years later, Kilafors’ main competitor, BRIAB, was incorporated in the group, thereby resulting in the formation of the BRIAB-KILAFORS joint-stock company. The shares were bought up by other investors, and the Translink Group became the main owner of the company, which once again was renamed. Step by step, the current owner systematically invested in the company and created a long-term structure. 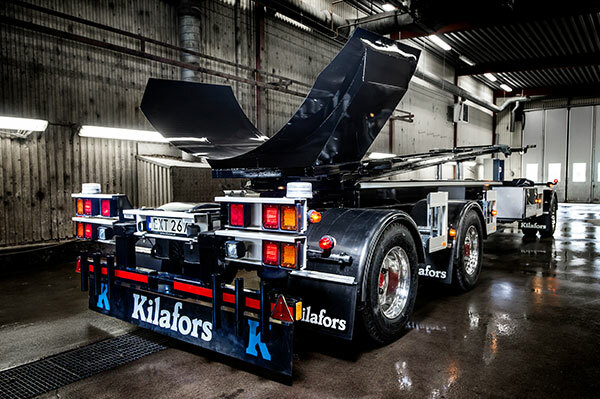 The business gradually took shape and returned to its original name of 1961, Kilafors Industri AB. 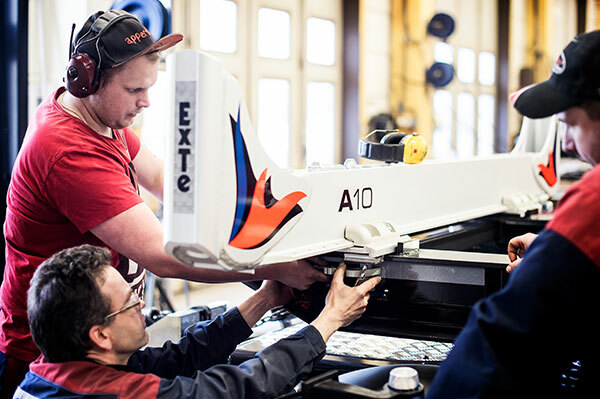 50 years’ experience of trailer manufacture permeates all corners of the factory. This means that you, as a haulier, can have peace of mind in driving mile after mile, carrying load after load.